Athletes receiving medals for their participation at an event. 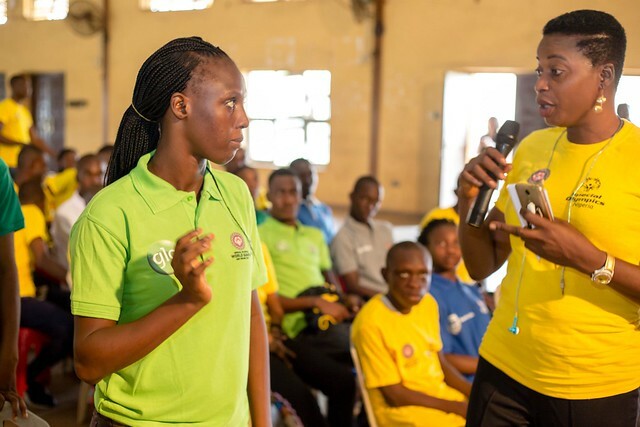 Special Olympics offers training and competition opportunities in 30 Olympic-type sports for athletes 8 years or older of all ability levels. 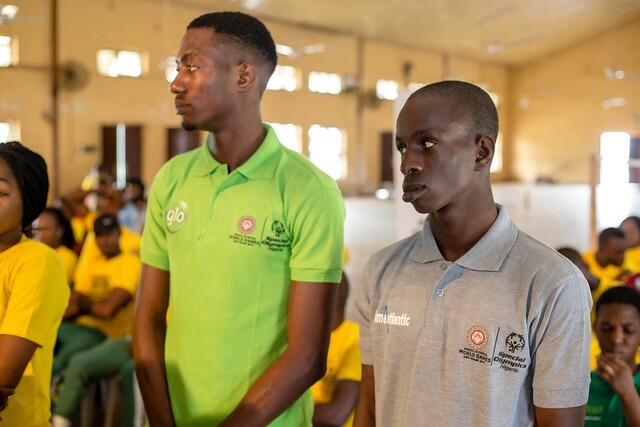 These include 6 official winter sports, and 21 official summer sports, so no matter your sporting interest, Special Olympics is a place for everyone. 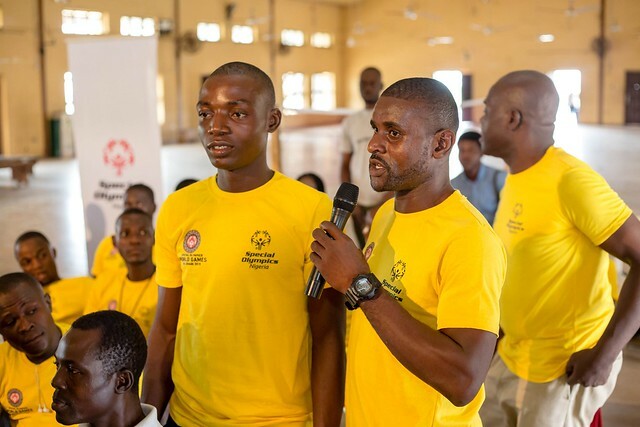 Special Olympics sports cater for athletes of all ability levels and include events and modifications that would otherwise have precluded athletes of a lower ability level. 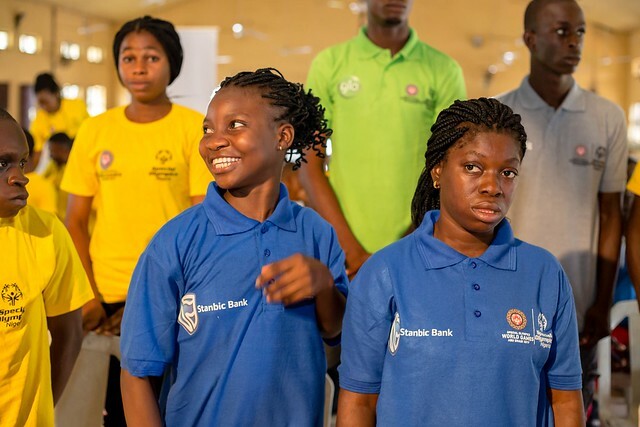 The fundamental difference that sets Special Olympics competitions apart from those of other sports organizations is that competitions are structured so that athletes compete with other athletes of similar ability in equitable divisions. 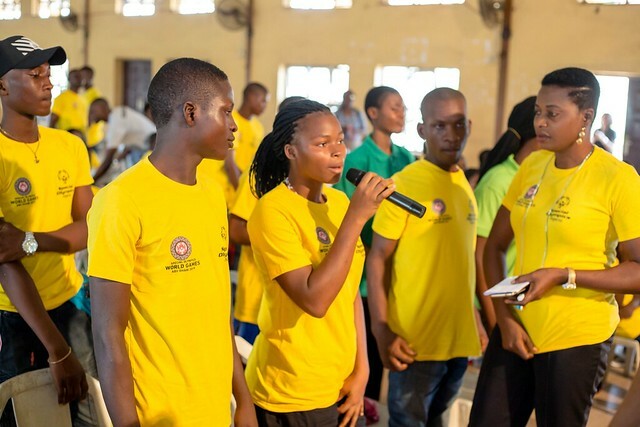 In this way all athletes are encouraged to participate, and every athlete is recognized for his or her performance. 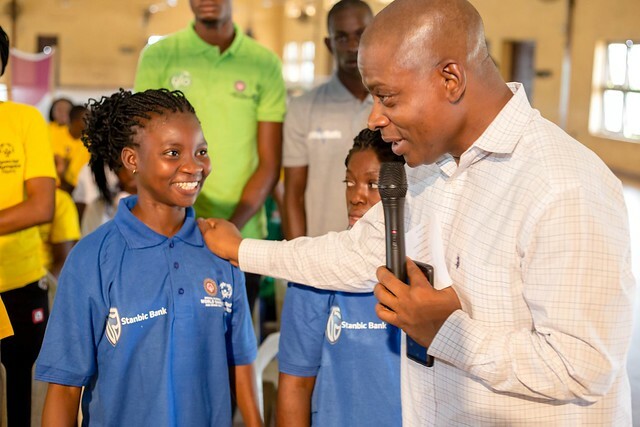 Special Olympics Nigeria is the largest Nigerian program of sports training and athletic competition for children and adults with intellectual disabilities: it currently serves more than 10,000 persons with intellectual disabilities in 28 States in Nigeria. 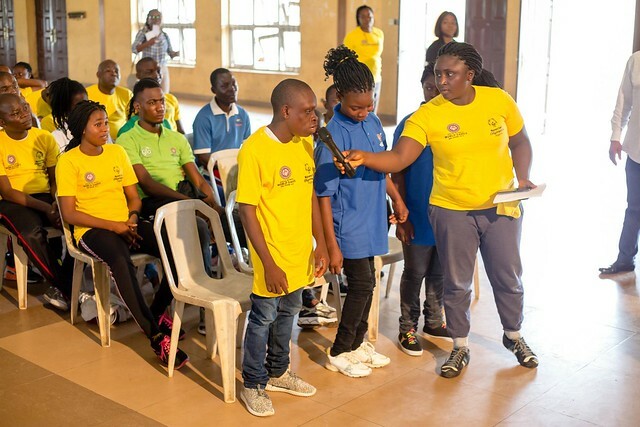 Special Olympics Nigeria offers training and competition opportunities in 8 Special Olympics Sports – Athletics, 5-aside soccer, Table Tennis, Basketball, Badminton Swimming, Cycling and Floor hockey with a plan to add more sports in the near future. 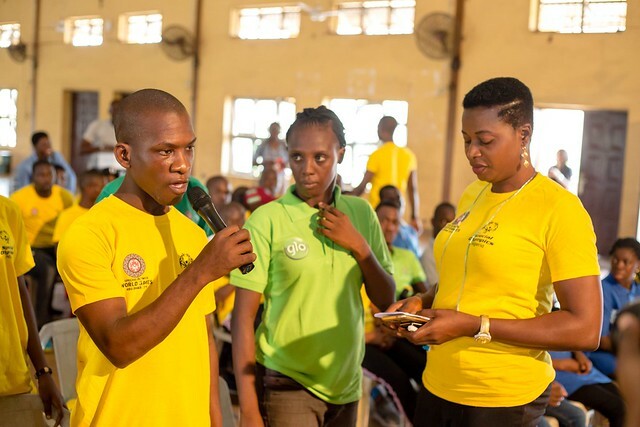 There is no cost to participate in Special Olympics but aspiring (New) athletes must register with their local program and obtain a medical clearance certificate. Apply online to be an athlete today!